Calling all brides! Now's your chance to have a once in a lifetime $100,000 day of perfection will be organized by A–list planner extraordinaire Jo Gartin courtesy of Crate and Barrel and Daily Candy. Couples must enter by March 31, 2010 by visiting www.crateandbarrel.com/ultimatewedding. Eligible couples must maintain an active Crate and Barrel registry valued at $2,000 and 50 registry lines. The contest entry calls for couples to share three things, each in 100 words or less: 1) their own love story; 2) three important 'nitty-gritty' details of their ultimate wedding; and 3) a description of their everyday dream day. In addition to the grand prize Ultimate Wedding planned and designed by Jo Gartin, and valued at $100,000, contest prizes totaling over $25,000 will be awarded to 2nd and 3rd place winners and 15 honorable mentions. Now how sweet is that? For all the details, click here. 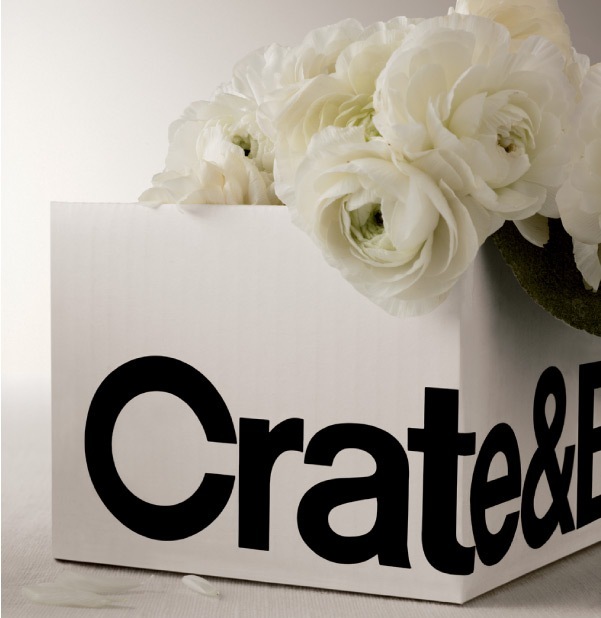 Image via Crate and Barrel.